TSB has put on oil-coated overalls and got the Swarfega out to offer a new digital “MOT” test to help SMEs on their fintech journeys. If you’re not up to speed with the term MOT. This refers to the Ministry of Transport in the UK. The MOT test checks to see if your car is roadworthy. With this in mind, the TSB wants to help small business customers take its test as they join the Enterprise Nation community – a UK small business network. The digital MOT will determine what advice and support firms could most benefit from, with some brands signed up and on hand to help. For example, TSB says customers could make use of GoDaddy’s website builder – free for a year, discounted online book-keeping services with Xero, and money off at Currys PC World to buy new technology. To back up this new test, TSB cites its own new research. The bank says more than 50% of Brits think small businesses are falling behind when it comes to embracing digital. In addition, it says six in ten people would like to see small businesses in their local area have a website; and 56% think small businesses in their local area will be more successful if they embrace digital. 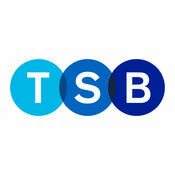 In a separate development, TSB has teamed with credit history provider Loqbox. According to Loqbox’s website, it allows users to build their credit history while saving. People choose to save between £20 and £500 each month and buy a Loqbox worth a year of those savings. Loqbox says it can help people open a bank account or ISA to pay money into. The firm gets paid by its partners (such as TSB) for this, which is how it can make the service free.